Last Friday I finished my final exam for the degree I’ve been whittling away at for six years. In 2007, I started a BFA in “Creative Writing Production” at QUT (now “Creative and Professional Writing”). Chronic ill-health and wanderlust took their respective tolls, and I QUiT to work and travel, returning to study at UQ in 2009. Here I am with (almost) a Bachelor of Arts in English Literature/Writing. BAs in English might be a dime a dozen, but mine was hard-won and it is surreal to finally be finished. What none of us expected this week was for Rave Magazine to meet its doom. The news devastated Rave staff and contributors. Whenever I remember suddenly what I’ve lost — in losing Rave — it feels like a kick to the chest. We loved this magazine, and as a publication I loved it for its integrity, high editorial standards and commitment to the arts. I can only hope I’ll get to work with and for such excellent people (Chris Harms and Jody Macgregor especially) again one day. Thanks to Rave, Brisbane’s performing and visual arts have — frankly — taught me more than any degree could have. I have fallen so deeply in love with Brisbane and its mettlesome artists. Rave leaves a big hole in our hearts, and all I can do now is try to find new ways to stay in touch with communities that have been so good to me. (If you have any ideas on how a new publication should support Brisbane arts, let me know!) We’re all very grateful for the kind messages flooding Rave inboxes. At the very least, I will have the arts listings out somewhere on time next Tuesday. I’ve already started them. 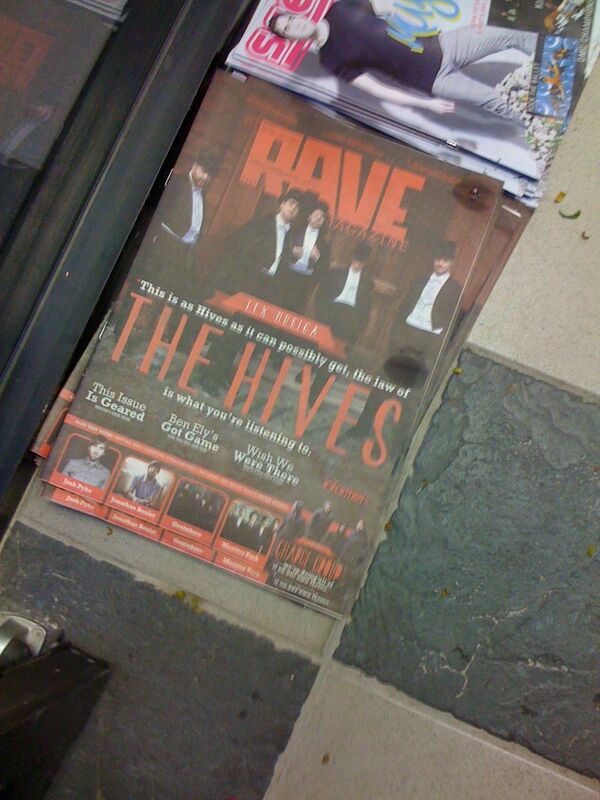 None of us knew till after Issue #1047 went to print on Tuesday that it would be Rave’s last. It was surreal (again) to troop down to Civic Video (another dying breed — the Rosalie one survived the floods, and is the only video store left near me) to complete rituals: pick up Rave, rent a terrible movie, buy chocolate/samosas/chocolate samosas. Seeing this humble pile of deathbed Raves undid me all over again. That’s enough melancholy for now. I have to trust that a whole aviary of phoenixes are currently gestating in the ashes of what Queensland has recently lost and might soon lose. Keep your fighting trousers pressed and close to hand. So pleased that there is finally a worthy link for “fighting trousers”. The gleam of your shoehorn will be a beacon to all phoenixes!